Subdivisions are divided plots of land with homes for sale. As the name suggests, once upon a time the land was a united plot, such as a family farm. The land was sold, a builder put up a community of homes, and the property now exists as a subdivision. Within the subdivision, each plot of land is known as a plat. A neighborhood has a looser definition: It's a geographic area, which includes homes and other structures (apartments, stores, schools, etc.) and is bounded by agreed-upon lines, whether it's city limits or a major roadway. While you might think of neighborhoods as residential, the term can also connote commercial or industrial areas. A commercial neighborhood, for instance, refers to a cluster of shopping areas or a central business district. There are a couple different spaces where the difference between subdivisions and neighborhoods are pronounced. We’ve outlined these considerations below. Neighborhoods as a whole are zoned to reflect the type of property that may exist there -- residential, commercial, industrial, or mixed use. Subdivisions are affected by regulations to a greater extent than neighborhoods. A regulation might specify that only single-family homes can be built, or that the minimum home size is 1,200 square feet. If you were to purchase a subdivision, you would need to abide by zoning laws that affect the parcels of land or petition for a zoning change. This is important if, for instance, you wanted to put up luxury condominiums but an available subdivision was zoned for single-family homes only. 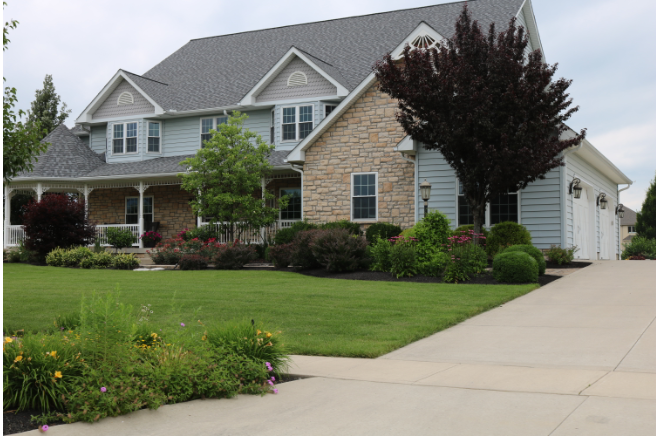 From a property management perspective, subdivisions are attractive because they simplify decision making. As long as you stay within the bounds of regulations that exist on the books, everything is business as usual. It's only when you want to change things that you would need a lot of time, money, and patience to get a zoning exemption or change the zoning codes affecting the entire subdivision. You would not be likely to purchase an entire neighborhood or need to content with neighborhood regulations: If you wanted to open a gym, you'd buy a commercial building rather than purchase a single-family home and try to make a gym there. From a property management perspective, there's less to worry about when thinking of homes or apartments in a neighborhood. Town or city planning departments will show the relevant zoning codes for any plot of land, so you can tell what rules may affect you. It's a smart idea to look at zoning before you purchase any property, so you know what you're getting into. The difference between services in a neighborhood or subdivision is largely a conversation about the differences between commercial and residential construction. Services performed on a public commercial space have different rules, regulations, and guidelines than those performed on private spaces. This affects everything from utility installation, to noise levels, to traffic safety requirements. Whether you’re looking for a contractor to perform work in the commercial or residential space, make sure you’re hiring someone who has experience in both and an understanding of the rules and regulations required for each project. If you're looking for an experienced site work contractor for an upcoming subdivision project, contact us!